Felixstowe reckons it is the first port in the UK to handle over a million TEU by rail in a year. The one millionth unit was loaded on 13th December 2017 onto a Freightliner service to Birmingham. GB Railfreight has taken delivery of the first of a fleet of 41 hoppers, which will be used to transport sand on behalf of Sibelco from Middleton Towers in East Anglia to Barnby Dun, Monk Bretton and Goole in Yorkshire. Government plans to give greater control of rail infrastructure to the passenger franchises has set alarms ringing in the freight industry. 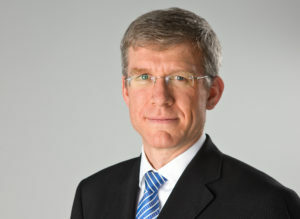 Roland Bosch has been appointed the new CEO of DB Cargo. Bosch, who is currently a board member at DB Netz AG, will begin the role next month. The GEFCO Group has welcomed its first full container loaded train to France from China on the new Silk Road. The train took 40ft containers from Wuhan in China, to Dourges in the North of France, for customer PSA in less than three weeks. 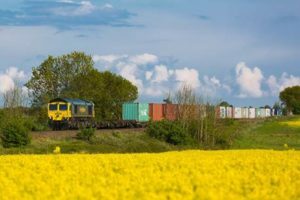 GB Railfreight has launched a rail service moving containers between the port of Southampton and the Hams Hall rail freight terminal north east of Birmingham. Groupe Eurotunnel has changed its name to Getlink. Xpediator, the freight forwarding group that owns Delamode, has acquired Benfleet Forwarding Ltd for an initial consideration of £6.55 million. The Port of Felixstowe has been given the green light by the transport secretary for a £60.4 million rail improvement scheme. The scheme is jointly funded by Network Rail and Hutchison Ports, and will allow up to 47 freight trains to run per day in each direction between Ipswich and the port. 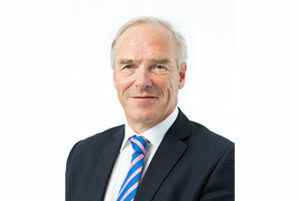 The Chartered Institute of Logistics and Transport (CILT) has merged with the Railway Study Association (RSA) to create a forum for the rail sector.